I’m not sure why exactly, but Halifax, Nova Scotia has long piqued my interest. Maybe it was reading about its connection to the Titanic when I was a kid, or just because it sounded like a nice city; regardless of the reason, I was excited to finally visit the provincial capital of Nova Scotia a couple of months ago as part of a promotional campaign with Tourism Nova Scotia. Although my time in Nova Scotia was about much more than just Halifax, for me it was the perfect first introduction to this part of Canada, not to mention just a fun experience. I like quirky places, and the Maritime provinces of Canada are lovingly quirky in a way I personally cherish. I first experienced this quality last year while exploring Newfoundland and while the Nova Scotian brand of affable oddness is different, it’s no less endearing. As the provincial capital, Halifax was the ideal place to start mostly because it’s the easiest place to reach within the province from the US. While I always love visiting Canada, it’s not always the most convenient place to reach oddly enough. Unless you’re going to a city that rhymes with “-onto” then it requires multiple flights and at least a half dozen Tim Horton’s doughnuts to get through the experience with a smile on your face. Not so with Halifax. Thanks to an easy non-stop, direct flight from Newark on United, reaching Nova Scotia was fast, easy and convenient. A far cry from many other provinces I’ve visited in the country. Once there, the layout of Halifax is one that makes sense, at least to me. A colonial city, that same grid pattern is more or less intact, at least in the downtown core, and while a number of one-way streets and construction cranes may make things a little confusing if you’re driving, on foot it couldn’t be easier. 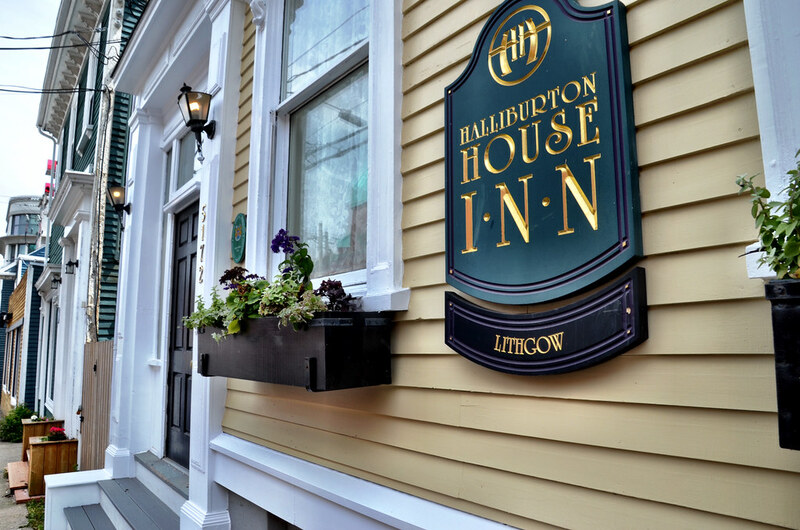 Staying at the well located hotel The Halliburton, I never touched my car while in Halifax, finding the city imminently walkable and when I did need a car, a fast and cheap cab ride was the best option. But since there’s so much to do right downtown, my own two feet were more than adequate for the experience. Starting off my day with a tour around Halifax, I quickly understood why this gorgeous city on the water attracts so many visitors every year. How can you not love living by a bay, even if it means some moody weather at times. There’s something inherently beautiful about almost any waterside city, and in Halifax the water quickly became a welcome companion. 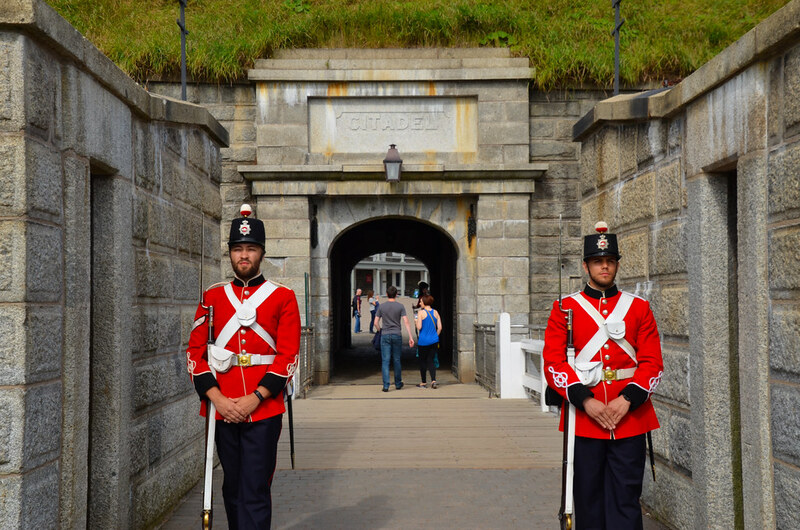 I’m a history buff though, which is why I took a short city tour – to learn more about the history of Halifax and to see some of its most famous sights. For any visitor to Halifax, this means a schooling into anything and everything to do with the Titanic. Following the maritime disaster, Halifax acted as a sort of organization point for the recovery efforts and it’s where most of those who died onboard arrived for final arrangements. While grim, it was an important task and has made Halifax an indelible part of Titanic history. 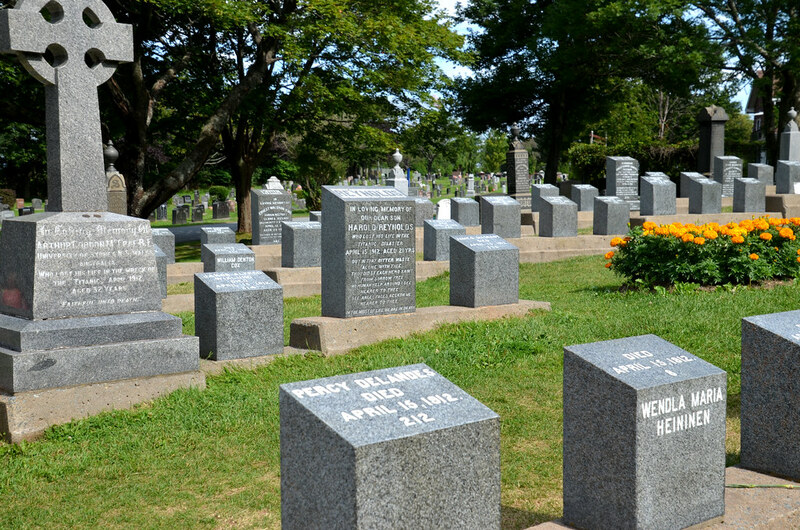 You can learn more about this history in Halifax in a variety of ways, starting at the Fairview Lawn Cemetery, where more than 100 victims of the sinking are interred in a special area of the cemetery. Follow up the solemnity of the cemetery by spending the afternoon at the well-curated Maritime Museum of the Atlantic, located right along the waterfront and which tells the Titanic story and the role Halifax played expertly. Food also played a surprisingly important role in my trip. I say surprisingly because when I think about the great foodie capitals of the world, Halifax honestly doesn’t come immediately to mind. But, like most urban centers around the world, Halifax has also witnessed a great culinary revolution in recent years. Over the last few years of traveling to all corners of the planet, I’ve noticed that in many cities this has been the trend. Not in already-prosperous cities per se, but many second tier or marginal cities. From Ghent to Charlotte and yes, Halifax, a shift has been occurring and it’s one of the most exciting global developments that no one is talking about. I’ve already written an article on this, so I’m not going to go into this issue in great detail, but in Halifax it means that the food and drinks scene is excellent and getting better all the time. 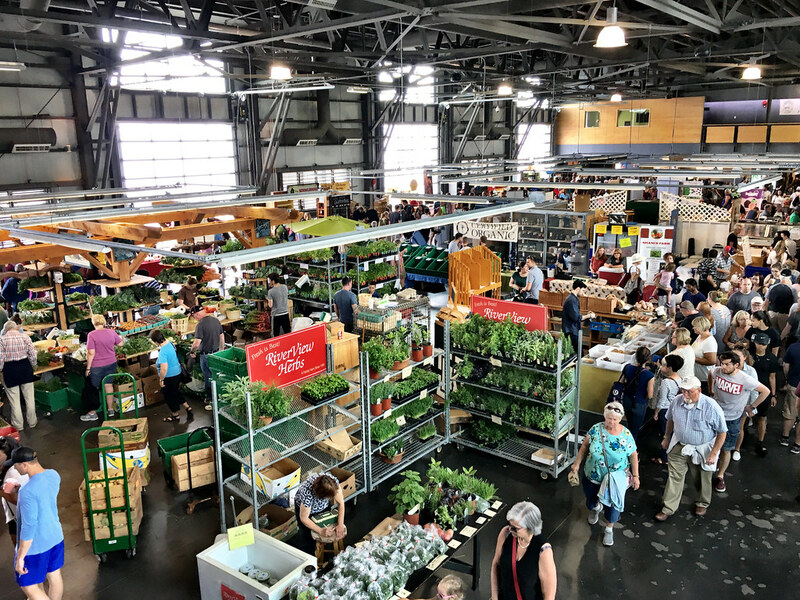 What I think is at the heart of that experience is The Halifax Seaport Farmers’ Market, – the oldest continuously operating market in North America. Visiting on a busy Saturday afternoon, it was almost sensory overload as I meandered around the 250 or so vendors, taking full advantage of the many samples available. It’s also where I first tried that Nova Scotian staple, the Donair. While it looks like a standard gyro, it’s anything but. This sloppy but tasty sandwich is a pita filled with shaved beef and served with tomatoes, onions and slathered with the sauce that transforms it into a true Donair. Slightly sweet, the sauce is made from condensed milk, white vinegar and garlic powder. I fell in love with the sandwich immediately, and when served with some fries was the ideal guilty pleasure. Nova Scotia also has a vibrant and always expanding drinks culture and the market is a great place to sample some of the best. Breweries, wineries and distilleries all have stalls at the market, offering up free samples to curious passersby. 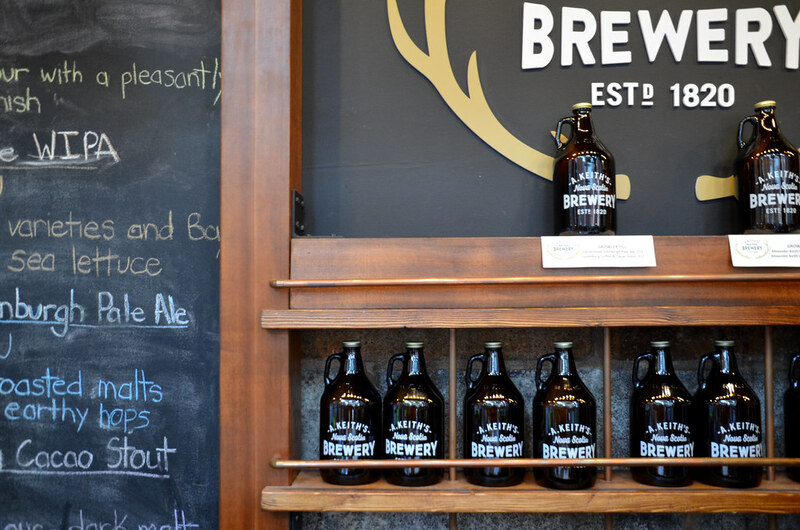 If beer is your thing, then don’t miss the fun Alexander Keith Brewery Tour. One of Nova Scotia’s most iconic brands, even if you’re not familiar with the beer, the tour is not to be missed. It’s also well located downtown, making it easy to reach. Combining a little history, some song and dance and lots of beer, it’s one of the best hours you’ll enjoy in Halifax. My favorite moments in Halifax though were unique experiences thanks entirely to good luck and the fact I visited during a very special weekend. I was lucky enough to visit during the Rendez Vous 2017 Tall Ships Regatta. 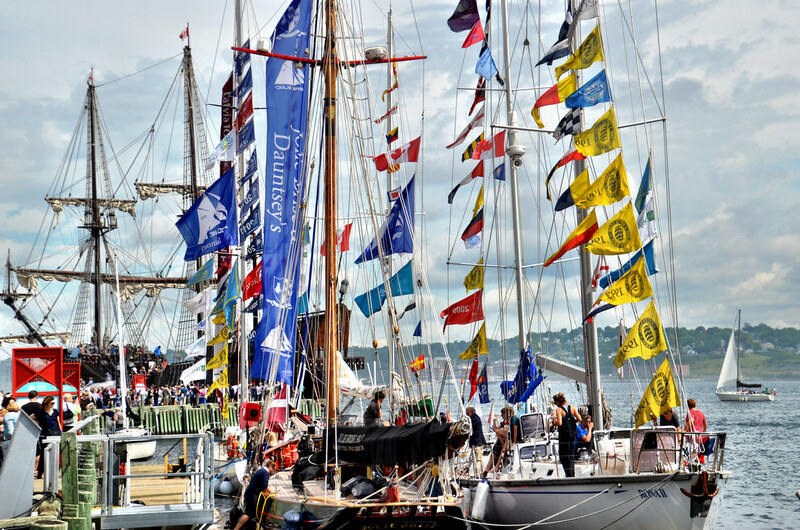 Halifax was one of the host ports for this 7,000 nautical mile transatlantic race and they were lined up along the waterfront for everyone to admire and even tour. 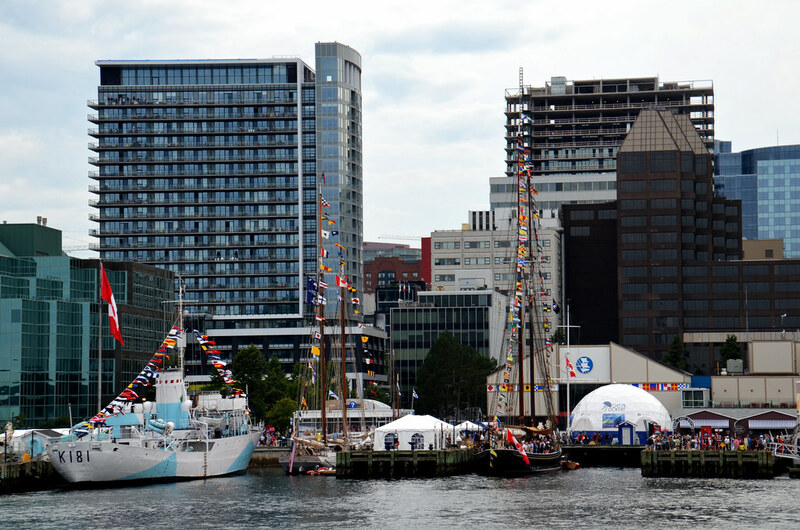 More than 40 Tall Ships sailed Canadian waters to honor the 150th anniversary of the Canadian Confederation and I personally couldn’t think of a better first introduction to this colorful city. In conjunction with the celebratory weekend, another very special event was offered on an island no one ever visits. Enjoying a perfect spot in Halifax Harbour, Georges Island would seem to provide locals and tourists alike with ideal views of the city. And it does, but unfortunately most of the time people aren’t allowed to visit. First established as a fort in 1750, Georges Island has seen its fair share of history from housing Acadians during the Expulsion to serving as a fort during the American Revolution to protect against privateers. I wasn’t there just for the history though, I was there to enjoy a fun evening of music, food and fun. This summer, Taste of Nova Scotia offered two very special dining events on the island, highlighting some of the best provincial wines, beers, spirits and of course food. It was a fun evening of camaraderie and good cheer and since the government hopes to open the island to the public in the next few years, a great first foray into what the visitor experience on the island will be like. I don’t know what I expected Halifax to be like, but that doesn’t really matter. What I discovered was a fun, vibrant community that serves as the ideal first introduction to the beautiful province of Nova Scotia. Looks like a really nice place ! Matt: Well written article. You get the East Coast, you really do. Well thought out and presented. Kudos! Love your review of my hometown. I have always sort of taken Halifax for granted but this year I am driving a tour bus for fun and the reaction from first time visitors is amazing. Just one thing, the donair sauce also has lots of sugar in it. I am proud of my city and glad to consider myself a Haligonian. Come visit us again. Loved reading your review. Being a Haligonian, it’s always great to hear others say the wonderful things about this beautiful city that I have always loved. Just one tiny correction though, saying that Georges Island “housed” Acadians during the Expulsion, would lead one to believe that there was choice in their imprisonment. I have had the luck of visiting this treasure and I was able to do so with reverence to our history. Thank-you for your lovely review! We visited St. John’s and Digby in search of my “McCloskey” history, and didn’t get time to go to Halifax. My husband so fell in love with the area and especially Haddock fish, that we are planning on returning next year. Thank you for the lovely and informative article.